Photographs by Robert Longo. Text by David Byrne. Schirmer/Mosel, Germany, 2009. 120 pp., 90 color and duotone illustrations, 8¾x11". 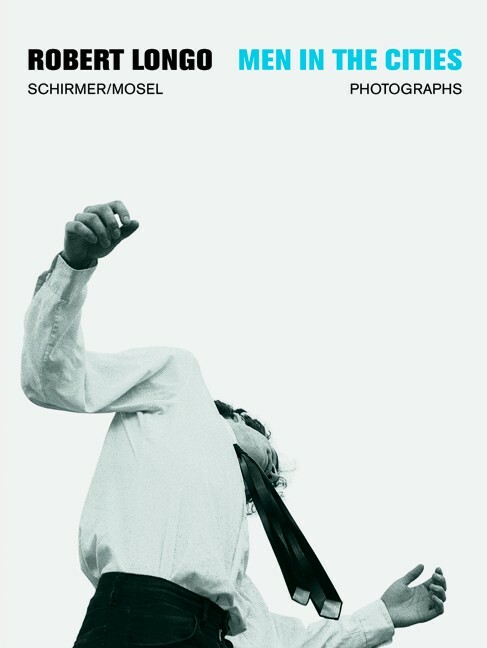 This book focuses on the photographic source material of the Men in the Cities series, featuring 90 pictures taken by Robert Longo. The series made Robert Longo famous in the 1980s: drawings of sharply dressed businesspeople writhing in contortion, a sort of death dance of the modern man. Powerful icons that, as Longo said, 'exist somewhere between movies and monuments.' Men in the Cities, created between 1977 and 1983, is also an early attempt in merging the diverse fields of Longo's artistic practice: sculpture, drawing, photography, and film. Longo first appropriated images from magazines, newspapers, and movie stills. Then he began to use his friends as models, among them Cindy Sherman, Brooke Alexander, Larry Gagosian, and Glenn Branca, posing and photographing them. He would bring them up on the roof of his loft, rig up ropes to them, throw rubber balls, rocks, etc, at them to make them jerk, fling, fall, and photograph them. Presented in a slipcase with cibachrome print, Eric, New York 1980, printed in 2009. Limited edition of 100 pluse 20 copies a.p., all signed and numbered by Robert Longo. SM240-LTD Limited Edition is no longer available.